With gold's increase in value in recent years, many hopeful prospectors and gold panning enthusiasts search for new areas around the country where they may be able to find flakes, nuggets or even larger pieces of gold. Many prospectors may flock to the coasts for their panning adventures, but in the northern part of Missouri there exist areas that may have gold-enriched soil due to the melting of glaciers in Canada millions of years ago. The Missouri River runs through 14 towns in the state of Missouri. This river is the most heavily prospected river in Missouri. Most of the gold found in the river is no larger than flakes, but some nuggets have been reportedly found within the glacial rocks on the north side of the river. North of the Missouri River, the smaller Salt River can provide a panner with a less populated and prospected area to find specks of glacial rock gold. The towns of Asburn, Busch and Mexico all lie along the Salt River and would be prime locations to settle on for a recreational gold-panning excursion. Glacial rocks such as quartz, granite and black basalt have been known to exist in and surrounding the banks of the Chariton River and its tributaries. These are all types of rock known to harbor traces of gold. The Chariton River runs along the Adair, Macon and Schuyler counties. 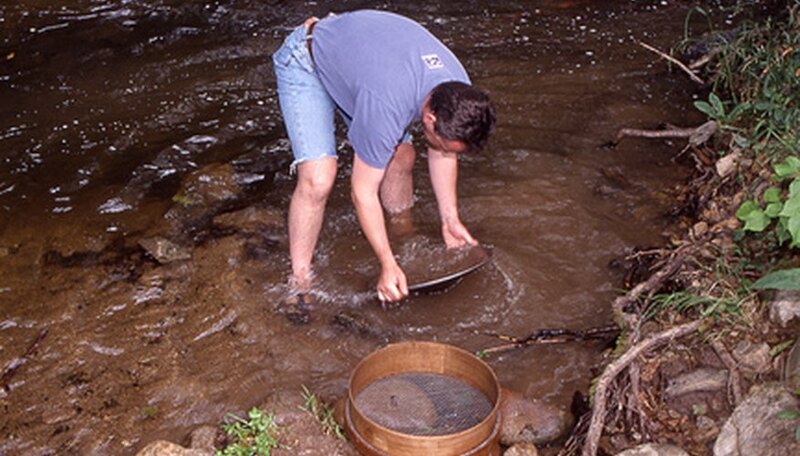 In Missouri, gold panning and the collecting or rocks is allowed in national or state owned parks if using nonmechanical equipment. Collectors wishing to use mechanical equipment or explosives as a way to pan or prospect are required by law to apply for a permit at a local Missouri Park Ranger office. All gold or other mineral collections must be made without a permit are to be made from surface soils and for personal use only.